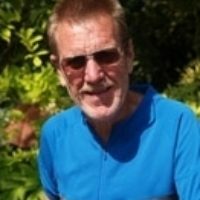 Jeremy Evans has produced books on all his favourite outdoor activities, with titles covering sailing, windsurfing, trekking, camping, powerkiting and inline skating, as well as cycling on road and on trail. In the early days of mountain biking, Jeremy pioneered cycle routes across the UK, then discovered the delights of riding Audax marathons up to 400km. When family life intervened, Jeremy encouraged his wife and three lovely daughters to enjoy extensive cycling tours in France, Switzerland and the UK. Needless to say, his family all helped to ride and research the magnificent C2C route, cycling across England’s finest landscape from coast to coast.